Whether she prefers a belini and poached eggs or a margherita pizza, celebrate the most important woman in your life with a meal she will appreciate. She deserves a good table. We’ve extended our hours so she’ll get one. BRUNCH 10 a.m. – 2 p.m.
DINNER 4 p.m. – 8 p.m.
Don’t forget you can buy gift cards online or at the restaurant. 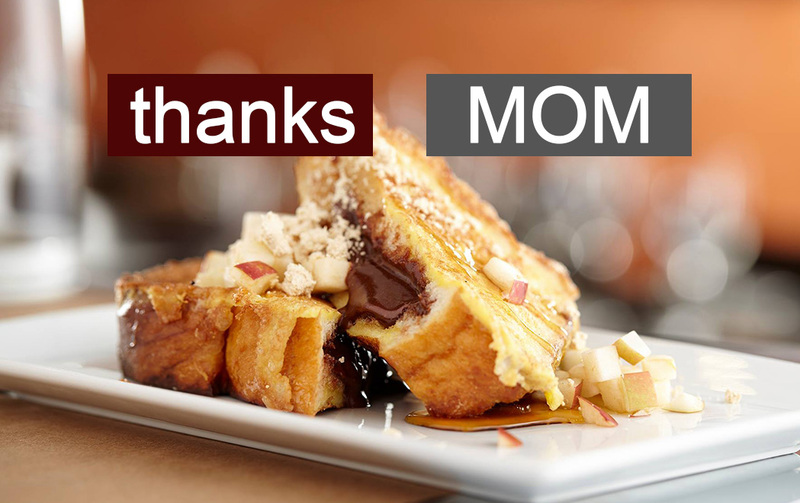 If you can’t be with Mom, shouldn’t you send her a gift card? We’re pretty popular with the Mom crowd. Make a reservation today before it’s too late. Don’t disappoint Mom.